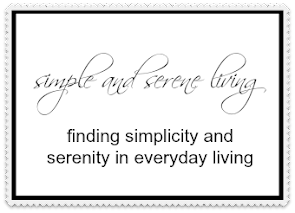 F Simple and Serene Living: really? Social Security? Yes, GULP!!!! I have reached that age. The one that we either dread or anticipate. It's the age where we can sit back on our laurels (what the heck does that mean anyway) and reap the rewards of our life of work. In December, I turned 62, and being the prepared person that I am, I applied for social security in November. Being the ultra smart techie person that I am not, I submitted my application online. Then I sat back and waited. Six weeks later, having not heard a thing, I called for info. Well, we can see that you submitted your application and that it is still sitting in your local office. They should be sending you an award letter soon. HMMMMMM!!!! Monday at 30 seconds before 3:00 I received a message on my phone telling me they had JUST received my application and there were a couple of problems that needed to be cleared up. Please call them back. Of course when I called them back, I was told the hours for their office are 9 - 3 M,T,Th,F. 9 - 12 W. HMMMMM!!!! What I actually have learned is this. My check will be enough to support me in a mud hut in a third world country. So instead, I am thinking about applying for a job at social security instead of collecting. While sitting on hold, I filled out my application. I am really good at not returning phone calls. Yes, I am bilingual. I speak pig latin really well. I am all for working a few hours for full time pay. I am excellent at fabricating facts rather than looking them up on the computer that is right in front of me. And when it comes right down to it I can pass the buck with the best of them. I'll let you know how the application process goes. In the meantime I'm still on hold. (they need better music) Helloooooo, anyone there? I'm still out here. P.S. For all you hard working government employees, this was not meant to offend you. I love, love, love you. P.P.S. Note for my gratitude jar today. I am grateful that I have a lot of rollover minutes on my cell phone. LOL Sounds like you'll be needing those rollover minutes! I turned 62 in October. In late August my husband and I went to the S.S. office. HUbby is a year older but won't be getting his SS til closer to the max. age. We found our person to be very helpful and knowledgeable. I was to receive my first check in December. And I did.......not much because I always worked part time. Just got my second check deposited in my account. Oh my! My online application went smoothly and I indeed get a check that could support me if I lived in a mud hut...I just didn't make enough in my lifetime, being a full time MOM but it is the choice I made. Hope you get off hold and get your check. Meanwhile, one ringy-dingy, two ringy-dingy! I am wishing in many ways that I was to that point so that I would know the rent would be paid. Unless it isn't enough! Good luck. Great post my dear Laura, great post. I loved the Lily face...! I could hear her snorts. hahahaha. Thank you for your nice encouragement toward me and my Buddy, my new camera. His name is Buddy. Entering your world next month, but I don't want to stop working if I can't make $$ and have them take it away... decisions, decisions... Hope yours works out in a good way. Keep us informed. Great post today Laura! Love the switchboard operator. I hope you get your Social Security problems corrected soon. When you find that mud hut in a third world country let me know and I'll join you. Twenty years ago I was disabled in my mid-40's so I have not even earned enough to get the social security I would have if I had waited and retired normally. It has been a challenge to live on social security all these years. Best wishes to you. I'd say you are hired. And the cheques in the mail. Good luck! Love the Ernestine photo!! Oh, Laura, I’m loving your photos as I scroll down. Best of luck. Three people gave me three different answers. Unfortunately door number three was the one they went with. It is what it is. I get my pitiful little check every month. I'd hate to have to live on it, it wouldn't pay for the utilities in this town. Good luck to you! ROFL! You forgot to mention that you were probably talking to someone in a foreign country. I made 3 calls to customer service departments today and all 3 were centered in ANOTHER country. Hello??? BTW - you SO do NOT look 62. Hugs. Love the phone theme going on with the photo's. So funny! (kinda sorta, but not really) I hope it all works out! Happy New Year dear!